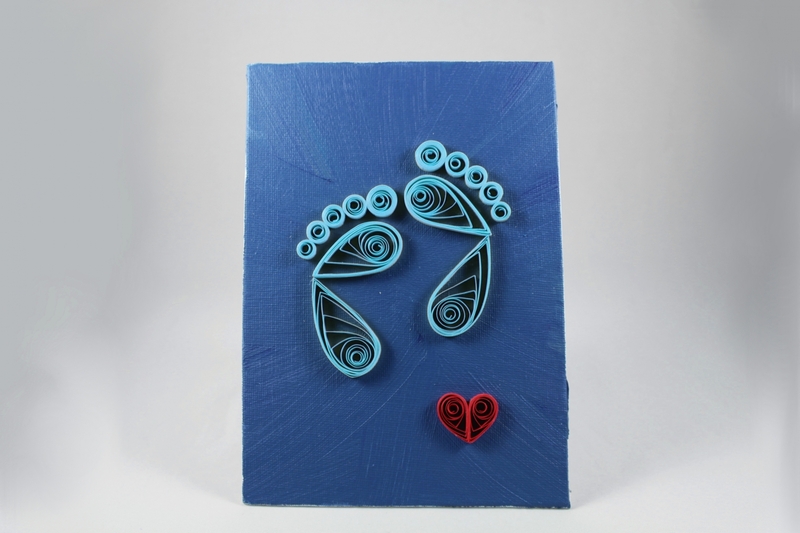 Handmade with love and inspiration, this perfectly sweet art piece features two baby feet. 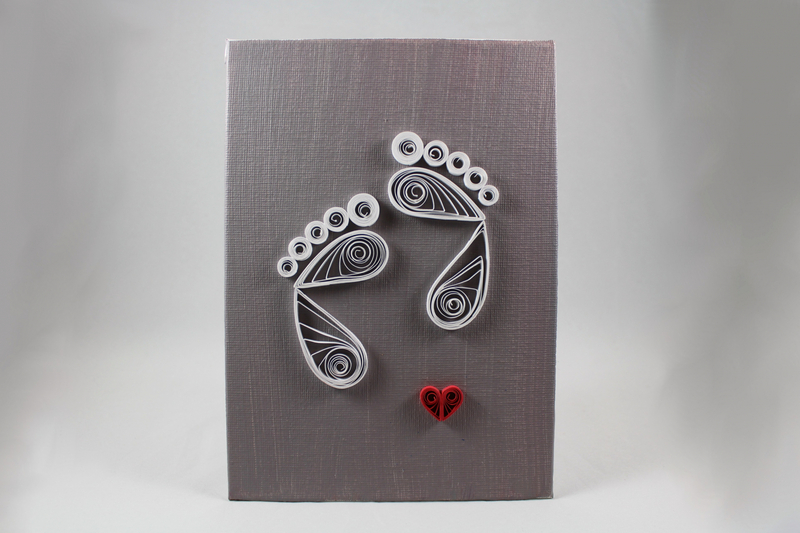 The feet and little heart are hand crafted using the art of paper quilling and are displayed on a hand painted canvas panel. 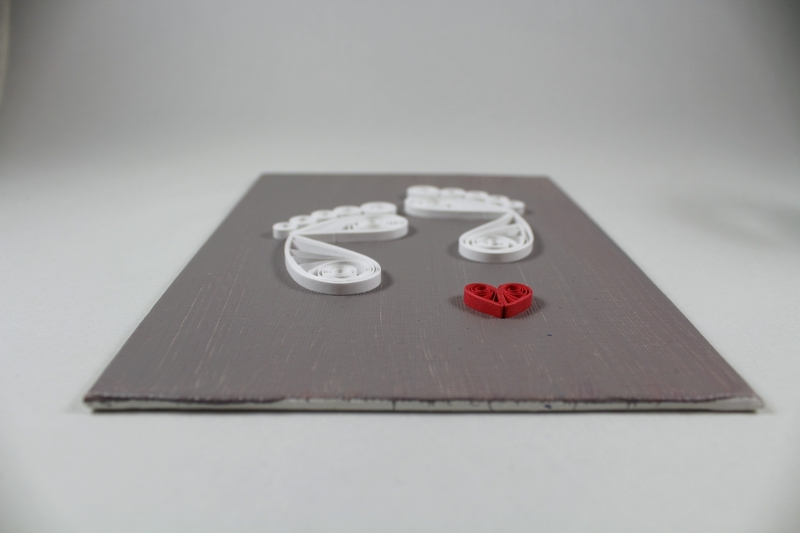 The piece is available in a variety of color schemes including gender neutral white and gray or your custom color scheme to match baby's nursery. 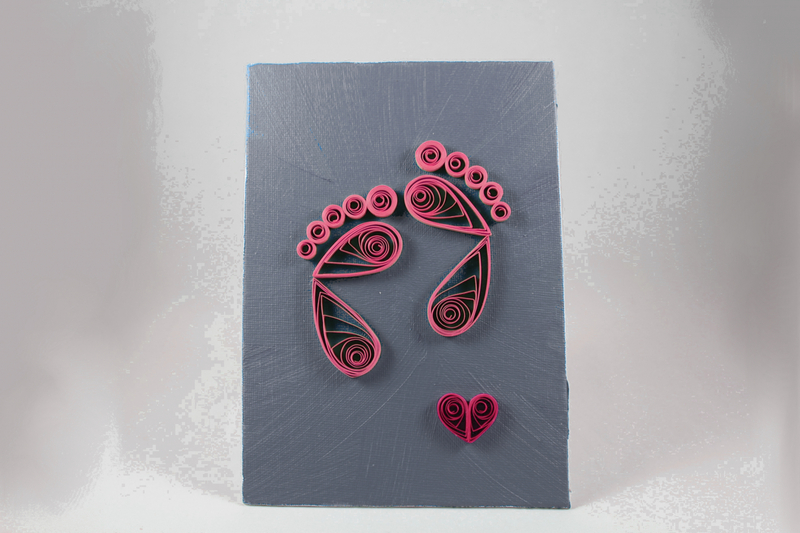 It can also be made with pinks or blues as part of a gender reveal surprise. 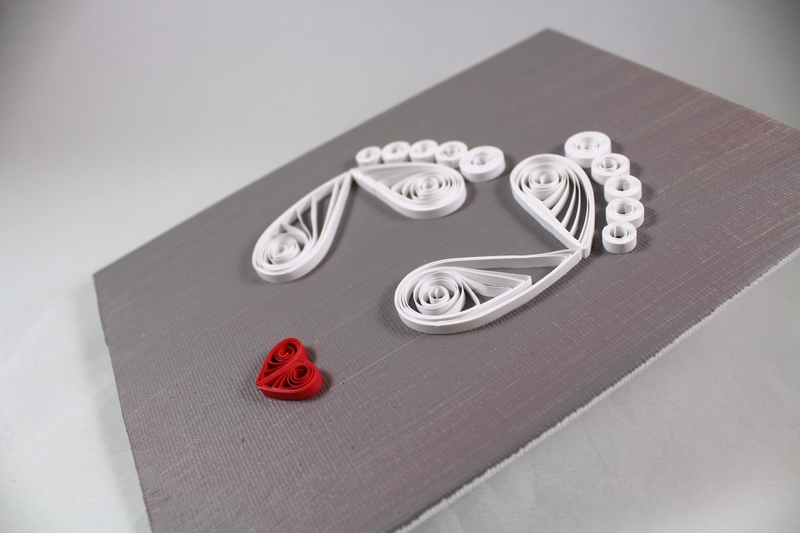 It would make a thoughtful baby shower gift or charming decoration for baby's room. 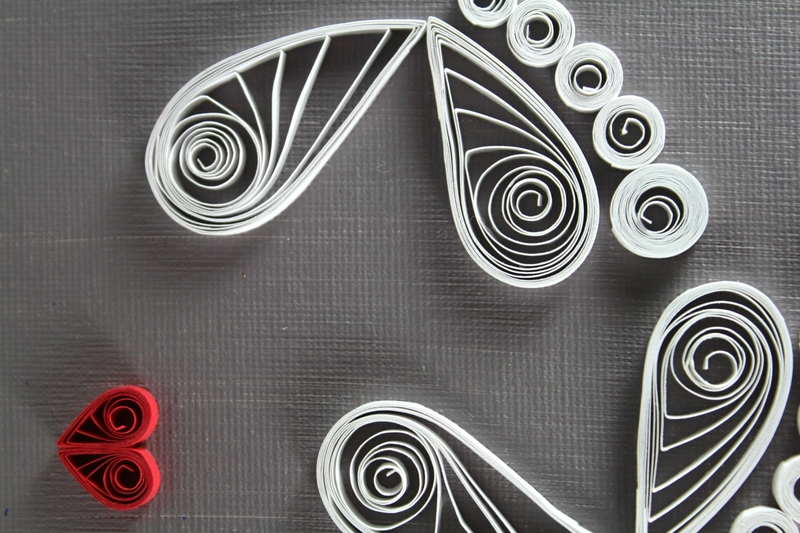 The piece measures 5x7 inches and is also available in a larger 8x10 inch size. This piece is unframed.